9th-14th September 2018, University of Oxford, England. New techniques are needed to access the volume of data that is available, to help us to make sense of it, and to productively leverage the terabytes (trillions) and petabytes (quadrillions) of available data. New measures can be derived from the thousands of data points per hour that are collected on individual learners as they learn, complete tests, and experience life. Big Data opens doors to investigate new questions about learning and assessment. How can we discover and quantify important measures with sufficient reliability and validity? What data and measures should be preserved versus discarded? How can the archival data bases be organized in a sensible way for different stakeholders? What new quantitative techniques will emerge from the brave new world of Big Data? This conference will provide an opportunity for researches and practitioners to share their understandings of current processes and findings, as well as to look at opportunities for exploiting Big Data. 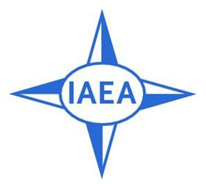 Visit the IAEA Conference Website for full details. In 2016, the International Baccalaureate (IB) introduced eAssessment as the basis for summative assessment of its Middle Years Programme (MYP). MYP eAssessment features on-screen examinations which make use of multimedia and interactive tools to provide an immersive assessment experience and challenges students to demonstrate knowledge and conceptual understanding as well as enquiry and communication skills. This presentation will explain how the assessment system has been designed to meet the particular needs of the Middle Years Programme and those of large scale summative assessment. The performance of the system since its introduction in 2016 and the effects on teaching and learning will also be discussed along with implications for the future of assessment of IB programmes. The event was broadcast and recorded – email mary.richardson@ucl.ac.uk if you would like a link to the recording. During this digital era, many countries are undergoing a transition from paper-based assessments to electronic assessments to measure student performance in education. The objective of this webinar is to present a new initiative (FLIP) where four countries (France, Luxembourg, Italy and Portugal) have jointly agreed to set up a community in order to share knowledge and experiences as well as costs and content within the context of e-assessment. During the webinar, we will present the FLIP framework, its underlying principles and the digital tools planned for development in the short-term. The long-term goal is to collaborate with all entities whose goal it is to build assessment solutions for non-profit institutions and for the development of education worldwide. Several other countries have already shown interest in joining FLIP, if you are interested please consider joining us!